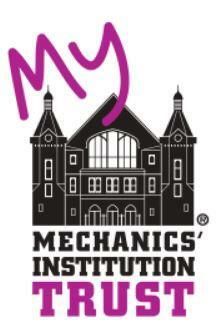 The M.I.Trust was established in 1995; Daniel became its chairman in 2003 and its Director in 2017. 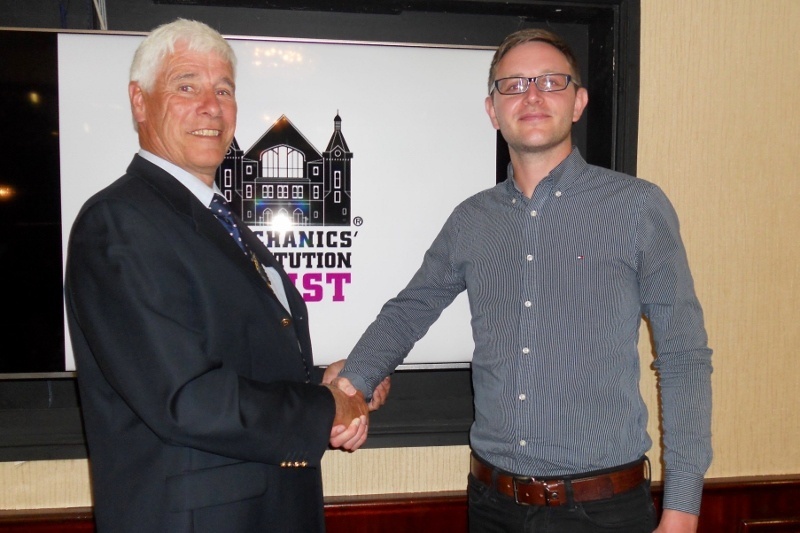 Daniel, on the right, told members that the original Mechanics Institute itself was created in 1844 by the Great Western Railway workers with a huge amount of help and support from the Works Manager of the time, one Minard Christian Rea. The building’s foundation stone was laid in 1854 and when completed the facilities within it for the ordinary working man were way ahead of their time. They included a theatre, a reading room, a library and a market attached on the outside. After some 100 years of use the building fell into a state of disrepair and British Rail offered it for sale to Swindon Borough Council for £1. But the Council prevaricated and it was sold elsewhere for all of £50,000. That owner eventually sold it on, for £250,000, and that owner also sold it on; this time for £500,000! It was at this point that the Borough Council slapped an urgent works order on the building and that prompted the owner to disappear without trace. The building is now “held” by Crown Estates (not owned) although the Borough Council has a charge on the land. Finally, in 2017, the Trust has come up with an ambitious £20 million pound plan to bring the building back to life with a concert hall, restaurant, and cafe. It has applied to the Heritage Lottery Fund for a grant of some £11 to £12 million and they would hope to raise the rest of the cost from small trusts and foundations and local businesses. On thanking Daniel for coming to speak to them the Rotary Club offered their very best wishes to him and the Trust for every success with the venture.